In order to help you better understand the re-roofing process, we have developed the following guidelines to ensure that each customer gets what they pay for quality products and installation every time. We take pride in communicating with our customers throughout the entire process and are available to answer any questions you may have. Proposal: Upon contacting Addicott Roofing, we will visit your home, thoroughly inspect your existing roof (gutter system, flashing, skylights, ridges, ventilation, etc. ), identify your needs and provide you with a complete and accurate proposal. Every detail included in your bids is specified on paper so that you feel comfortable with the process and know exactly what to expect. Pre-Production: Once the contract is signed, we will enter all pertinent information into our system, order your materials and develop a plan of action for your project. By properly planning for the pre-production process, we are better prepared to complete your project with little inconvenience to you. Project Scheduling: Once the proposal has been approved and pre-production is complete, we will schedule your job and keep you informed once a week until we start your project. Depending on the weather, this usually takes 10-20 days. This minimizes time delays and helps ensure that your job will be completed quickly and accurately once your project begins. Material Delivery: Rod Addicott will notify you when the materials are scheduled to be delivered to your home. In most cases, the materials will be delivered directly to your rooftop and we will begin construction as soon as the weather is suitable. It’s very important that your vehicles are cleared from your driveway, allowing our trucks to get good access. Tear-Off and Inspection of Roof Deck: Prior to the start of your project, tarps will be placed to protect your property and ensure good clean up around the perimeter. Once this is complete, our crew will begin tearing off your old roof (95% goes directly into our truck) and will haul off all of the old roofing material in our truck or trailer. This is usually the most difficult part of the re-roofing process. At this stage, any deteriorated plywood, trusses, and fascia is discovered. We carry plastic with us at all times and always protect your home during the re-roofing process. 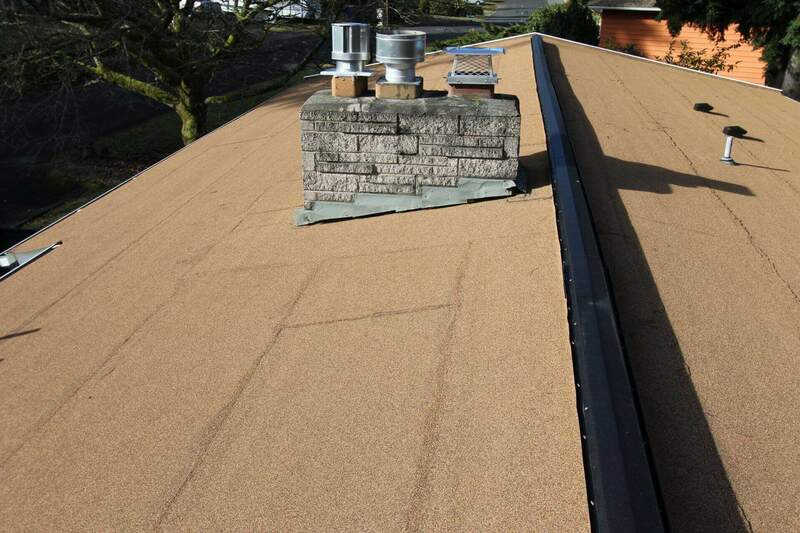 We make certain to discuss this step with you in detail during tear off and removal of your old roofing materials. A small amount of debris usually falls into the attic or open garage. This is something that can not be prevented. If there are concerns, please contact Rod Addicott prior to the start date to discuss options. We also inform you if we find ants or other insects or rodents, and are prepared to assist you in exterminating those as well. We remove any bad wood or fascia and repair broken or cracked trusses. We can replace gutters, downspouts, or skylights as needed. Installing Your Roof: Because we make certain to plan your project in advance, installing your roof is usually the easiest part of the process. With over 30 years of re-roofing experience, we have this process down to a science. Clean-Up: Once your project is complete, we will pick up all trash and debris resulting from the roofing project. We work extremely hard to make sure your property is as clean and safe as it was before we arrived. This means making sure that we find all debris that has fallen from the roof during the re-roofing process. At this stage, we encourage you to walk the grounds with us to ensure your compete satisfaction. Payment and Warranties: After your job has been completed, Rod Addicott will re-inspect the work to determine whether the project was completed to our standards and specifications. If there are any problems that are discovered, he will make certain that they are addressed and corrected immediately. Once you are satisfied with the end result of your project, we will collect payment and extend your written warranty. At this point, you can rest assured that your new roof was installed properly and you can enjoy the updated look of your home. We look forward to hearing from you and helping with all your re-roofing needs.